Bobby interviews James Helmy, the translator of Words for Our Time: The Spiritual Words of Matthew the Poor. Bobby interviews Fr. Lawrence Farley, the author of the new Conciliar Press book The Christian Old Testament: Looking at the Hebrew Scriptures Through Christian Eyes. Bobby Maddex interviews Fr. Lawrence Farley, author of the new Conciliar Press book The Acts of the Apostles: Spreading the Word. Bobby interviews Fr. Lawrence Farley, author of The Gospel of Luke: Good News for the Poor. 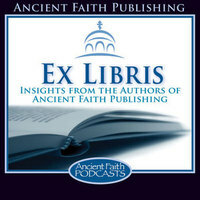 Bobby interviews Theron Mathis, author of The Rest of the Bible: A Guide to the Old Testament of the Early Church.